This dialogue with the computer asked it to display a digital word which included the suspect bit on the DSKY. The crew now had a visual indication of which way the bit in question was set. "While we've got that display up, Ed,'' said Haise, "could you tap on the panel around the Abort pushbutton and see if we can shake something loose?" "You sure tap nicely,'' said Haise. "I'm pretty good at that,'' replied Mitchell. Without a LM to disassemble after the mission, engineers managed to work out that the problem was a short circuit caused by a metallic object that had been inadvertently sealed within the Abort pushbutton itself on its manufacture. This, and the similar problem that beset Apollo 15's SPS, meant that NASA and its contractors began to x-ray all their switches for internal contamination. Apollo 14's problem was that if the bit were to be set at the moment of PDI, the computer would instead use the DPS to abort the mission and return to a safe orbit. As Antares passed around the Moon's far side, mission control came up with a workaround. 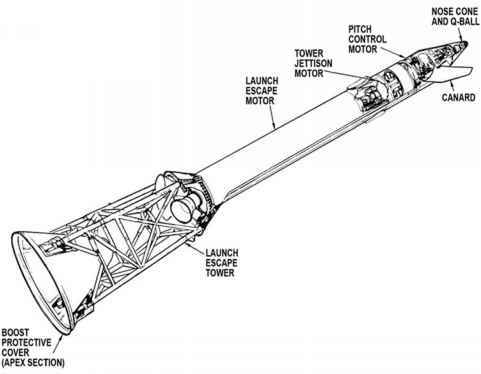 It required Mitchell to feed instructions to the computer just before ignition so that PDI could occur automatically and the abort bit would be ignored. The procedure also required them to manually raise the engine's thrust to maximum at 26 seconds, and then punch in more instructions to allow P63 to continue with the bit being ignored. Mitchell managed to enter all the verbs, nouns and values as required, saving a $500 million mission from what was probably no more than a rogue blob of solder.